Cristie Data is delighted to announce a new addition to the senior management team. Rob Knapp, Technical Services Manager, joins Cristie Data with over 20 years of experience within the IT Industry. Rob has been involved in an extensive array of disciplines within the IT function, ranging from 1st, 2ndand 3rd line technical support, technical architecture and strategy design and full scale implementations. 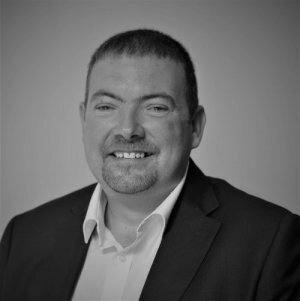 Rob has worked internally within the NHS and has been the Lead Architect Engineer at Capita responsible for projects such as the migration of their data centre to its new facility. Most recent experience includes Senior Solutions Consultant, working alongside clients covering a number of public and independent schools, local councils and many private companies to provide technical strategic leadership, technical governance and reviewing of internal project initiatives. Rob holds many industry recognised accreditations relevant to the Cristie portfolio and client base including VMware, Citrix, and HPE Nimble to name a few.